Home UX/UI Design Hey trend, how you doin’? Hey trend, how you doin’? While the design community is waiting for the new portion of the upcoming trend directions, I would like to ponder on this aspect and its meaning. Does it really important to follow the trend styles in UI design? Let’s figure it out. Each year we watch many design conferences. There are must-see like Apple Special Event and Google I/O. Such events have a direct impact on designer’s work as we see how system and guidelines change. Some other conferences are not that easy to discover if you didn’t buy a ticket in advance. What you can get there, are the personal points of view of many designers showing their case studies, describing the ideas and, sometimes, predict the future trends. From the other side, there are brands that strongly influence the community when they present the new branding. Like Dropbox (you probably noticed the reference to their brand in the cover illustration ;).When they introduced the new design, the reaction was different. Some designers said “They’re nuts!” and didn’t believe it was all true, others realized it’s an original decision, a new step. And yes, it was. 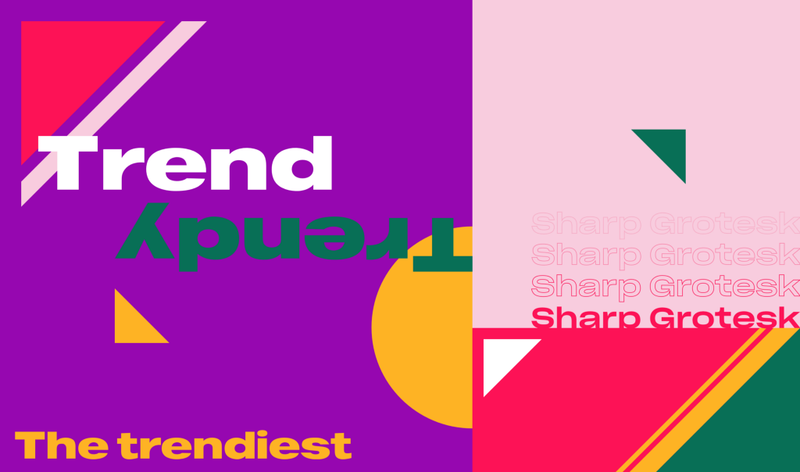 Not all are brave to use the same principles regarding the color and images, but when it comes to the font, every second design agency website has bold and wide Sharp-Grotesk-feels-like font. Indeed, it is called the trend. Everyone wants to say they know how to create the most stylish solutions. But is it really right to follow this direction? I would say, it’s not, at least not in all circumstances. When you have to choose between 5 companies that provide the same service, you look at their websites and see the same style, what will you think? Yes, they may have different approaches in the works, but the first impression doesn’t make them stand out in a crowd. It’s easy to change fashion to the trend and then, these expressions will suit the UI design world. Most of the couturiers preferred style to fashion, as it defines person in any occasion and time, while fashion is a temporary thing that can go like the wind. Certainly, you may say all these expressions are from the past and actually digital design is another sphere where many things change quite often. Everything is fast-paced nowadays, the adjective you can meet on every corner. That’s why many people prefer to use the hot trends or “make-it-look-like-Uber/Google/Airbnb” as it means that it’s a modern solution that will bring you popularity and millions of likes or actually users. What I want to emphasize is that designers shouldn’t blindly follow the trends. Indeed, it’s important to know what is en vogue today and all the updates from giants like Apple and Google have to be studied. But the professional designer has to be able to create unique, individual style. This approach is the exclusive vision of the expert—the core purpose why people come to you and want to get the brand-new design. Even though everything changes fast it’s better to be the creators of the new styles than copy-paste someone’s decisions. Dare to be different and create bold solutions. Be the innovator, be Leonardo da Vinci of responsive web design, Nicola Tesla of interface constructions and, finally, Elon Musk of branding. It’s a challenging path but as the result, you’ll get significant results that really matter. Go and Make Design Great Again! Hey trend, how you doin’? was originally published in UX Collective on Medium, where people are continuing the conversation by highlighting and responding to this story.